Nike Savvas, Atomic: full of love full of wonder, 2005, AGNSW, Contemporary Collection Benefactors'. NIKE SAVVAS' work Atomic: full of love full of wonder will be exhibited at the AGNSW in Spacemakers and roomshakers: Installations from the collection. The impressive installation will be on view from mid July through to October alongside other immersive and expansive artworks in the Gallery's collection. ROBERT OWEN and NIKE SAVVAS have works in the exhibition Call of the Avant-Garde: Constructivism and Australian Art at the Heide Museum of Modern Art. Opening 5 July, Call of the Avant-Garde is the first exhibition to examine the influence of the modernist art movement Constructivism on Australian art, presented in this centenary year of the Russian revolution. Exhibition dates 5 July – 8 October. Robert Owen, Third Movement #1 (from the series Thought Forms), 2015, painted stainless steel, 64 x 74 x 58,83 x 57 x 46cm. NIKE SAVVAS' practice involving large-scale three dimensional installations (as pictured) is celebrated in a recent article from Disclaimer magazine. Nike Savvas, Atomic #2, 2005, C-type photograph, 124 x 156cm. The installation of a new commissioned work by NIKE SAVVAS has been recently completed. The work called Halo is now part of the Waurn Ponds Estate, a conference centre designed by Mcglashan Everist, at Deakin University’s Waurn Ponds campus. NIKE SAVVAS is one of six distinguished artists exhibiting in Quicksilver: 25 Years of Samstag Scholarships. The exhibition celebrates the 25th anniversary of Gordon Samstag’s bequest, which led to establishment of the Anne & Gordon Samstag International Visual Arts Scholarships, and will showcase pivotal work by the participating artists. 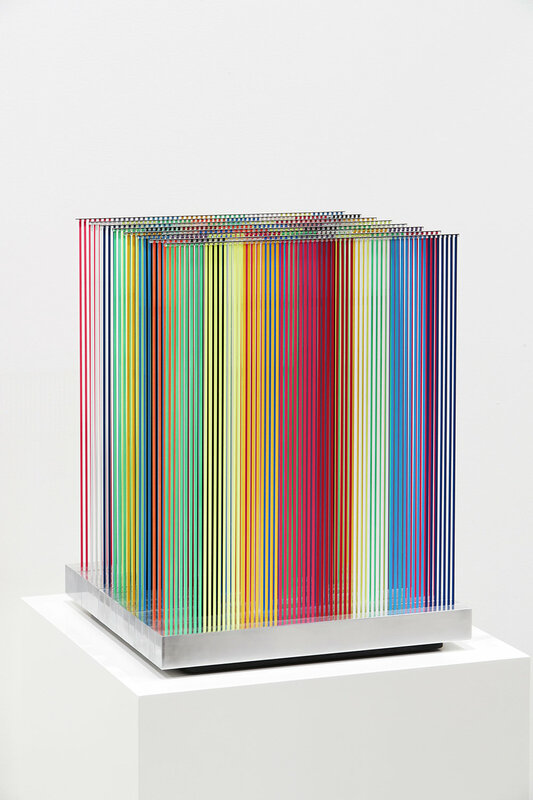 New work by Nike Savvas will be on view in the show. Quicksilver will be on view from 14 October to 9 December 2016.